Writing Kitchen Tips Tuesday gets tough after awhile. It is hard to come up with legitimate tips to share, week after week without running out of them. I just saw a video clip of this one, and it is definitely one we don’t all know and use on the reg. When making things like meringues and creme brûlée, chef’s use a small kitchen blow torch to caramelize the sugar on top. I have placed things under the broiler in a pinch, but it takes constant watching, turning and stealth speed to make sure it doesn’t burn. But what if you don’t own a small blow torch? This tip, from Jeff Mauro of The Kitchen on The Food Network, uses a metal measuring cup to do the job. 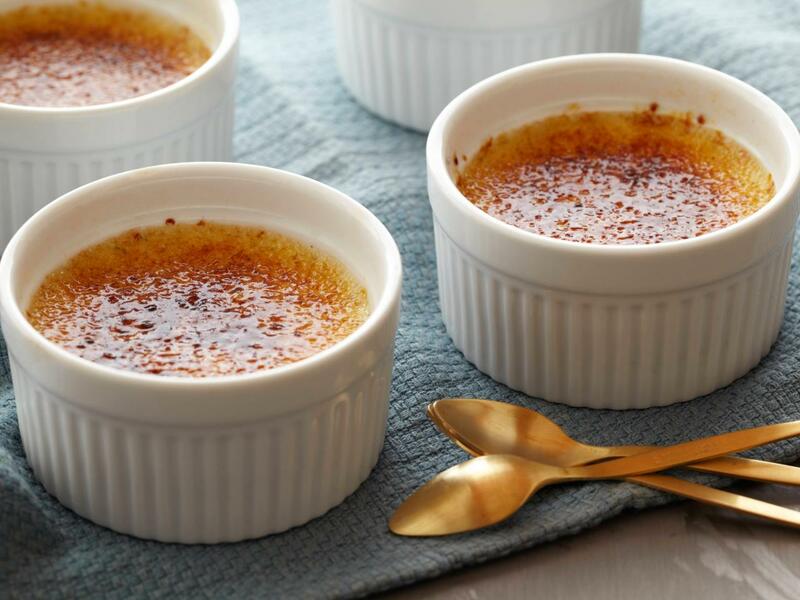 Sprinkle sugar on top of creme brulee, flan or even a lemon tart, heat a flat bottomed measuring cup on the stove, and carefully, using a pot holder to grab the hot handle, press the cup down on the sugared surface. You will hear a big sizzle, signaling that the sugar has melted and is fully caramelized. Viola! A crisp caramel top without using any special equipment at all! This entry was posted on March 7, 2017 at 7:48 am and is filed under Food. You can follow any responses to this entry through the RSS 2.0 feed. You can leave a response, or trackback from your own site.